NEW YORK TIMES BESTSELLERInspired by the incredible true story of one Jewish family separated at the start of World War II, determined to survive—and to reunite—We Were the Lucky Ones is a tribute to the triumph of hope and love against all odds. “Love in the face of global adversity? It couldn't be more timely.” —Glamour It is the spring of 1939 and three generations of the Kurc family are doing their best to live normal lives, even as the shadow of war grows closer. The talk around the family Seder table is of new babies and budding romance, not of the increasing hardships threatening Jews in their hometown of Radom, Poland. But soon the horrors overtaking Europe will become inescapable and the Kurcs will be flung to the far corners of the world, each desperately trying to navigate his or her own path to safety. As one sibling is forced into exile, another attempts to flee the continent, while others struggle to escape certain death, either by working grueling hours on empty stomachs in the factories of the ghetto or by hiding as gentiles in plain sight. Driven by an unwavering will to survive and by the fear that they may never see one another again, the Kurcs must rely on hope, ingenuity, and inner strength to persevere. 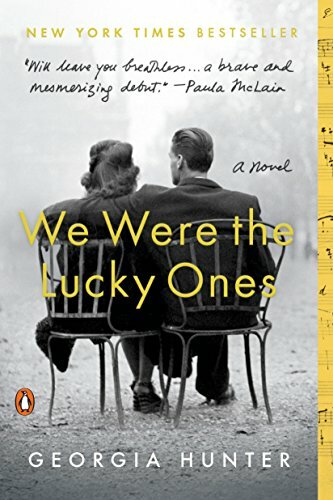 An extraordinary, propulsive novel, We Were the Lucky Ones demonstrates how in the face of the twentieth century’s darkest moment, the human spirit can endure and even thrive.